When it comes to statements you weren’t expecting to hear, that must be up there with them. Stood in the large entrance hall of an Irish castle with Alex Conyngham, Earl of Mount Charles, surrounded by pictures of generations of his family, rock and roll was far from my mind. But as you walk through Slane Castle, in among the pictures of marquesses past are photographs of U2, Robbie Williams and Bruce Springsteen. But what connects an aristocratic Scottish family with an Irish castle, Bono and whiskey? The Conyngham family are descended, so the family legend has it, from Malcolm, Son of Friskin, Thane of Cunninghame. He was awarded his thanedom for defying Macbeth, King of Scotland, by sheltering Máel Coluim mac Donnchada, later known as Malcolm III, while he was on the run from the king. This was all back in the mid-11th century, so it’s not surprising that after those beginnings, the family story jumps to slightly more modern times. The family settled in Ireland in 1611 and pop up in the records in 1690 – with a more modern spelling of the family name – thanks to Albert Conyngham and son Henry fighting in the Battle of the Boyne. They liked the area enough that after the war was over, they bought the land that Slane Castle now stands on, just six miles from the site of the battle. They built Slane Castle, and for the past 300 years it has been the Conyngham family’s home. The modern era of Slane starts in the 1970s, when Henry, eighth marquess Conyngham, took over the running of the castle. The family’s fortunes were on the wane, and despite opening and running a bar and restaurant, upkeep on the castle was taking its toll. In 1981, Henry decided to use the grounds for something different, and hosted a concert. Headlining was Thin Lizzy, pretty much Ireland’s biggest band of the day, with support from a less-well-known act on the edge of international success: U2. U2 liked the place so much, that they returned several times to perform, and recorded The Unforgettable Fire in Slane Castle’s dining room. 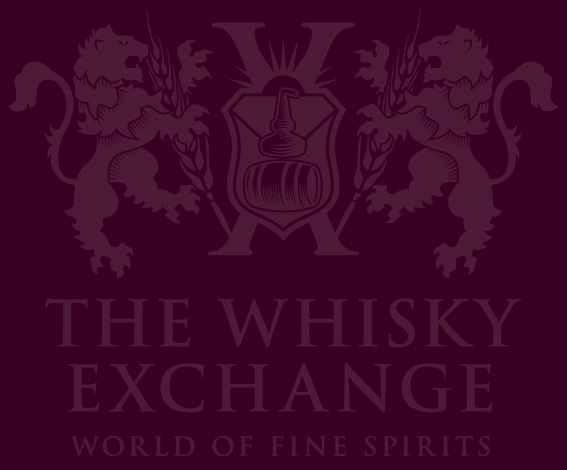 Henry Conyngham’s son Alex first became involved in the whiskey world in the early 2000s, when he worked as a brand ambassador. A few years later, he launched the family’s own whisky, Slane Castle, a blend made at Cooley. However, when Cooley was bought by Jim Beam in 2012 and shut off supply, Alex switched to plan B: build a distillery at Slane Castle. Five-and-a-half years later, Alex’s plans have come to fruition. 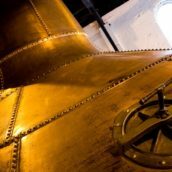 After £35 million of investment from Brown-Forman, the producer of Jack Daniel’s, the distillery is built and is in the process of being commissioned – it should be in full production any day now. 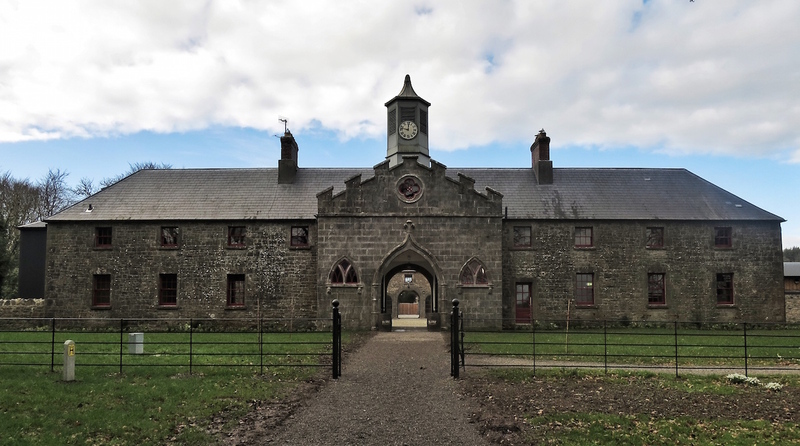 Slane Distillery – they’ve dropped the ‘Castle’ – is built into the estate’s stables, once home to Alex’s university-era digs. 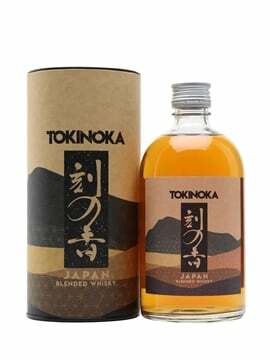 It has a claim that few (if any other) distilleries can match – all of the grain used will be grown on the distillery’s estate. With a potential growing capacity of 2,000 tonnes of barley per year, they’ve got quite a bit of room for expansion. 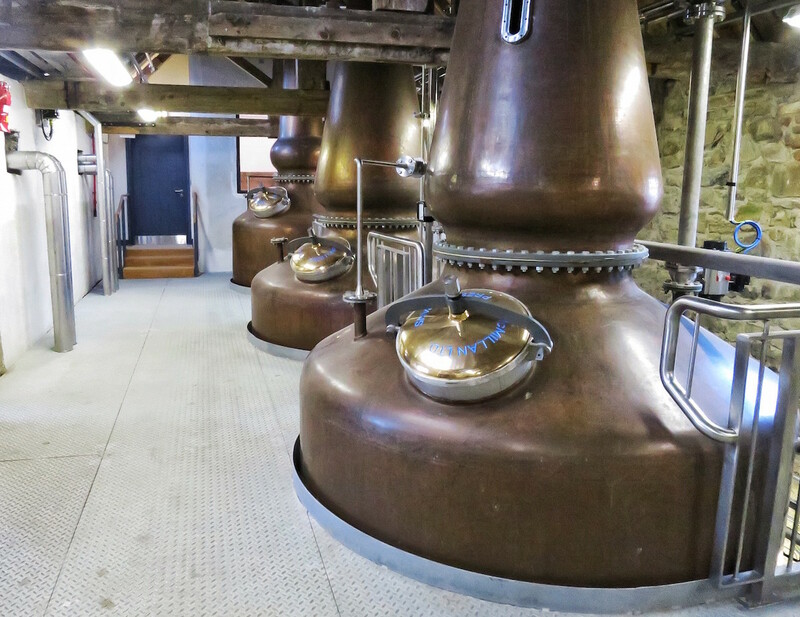 The distillery has been designed to be flexible and will produce malt, pot still and grain whiskey, triple-distilling the first two. The result will be releases of single grain and single pot still whiskies, as well as bringing the production of Slane blended whiskey in-house. 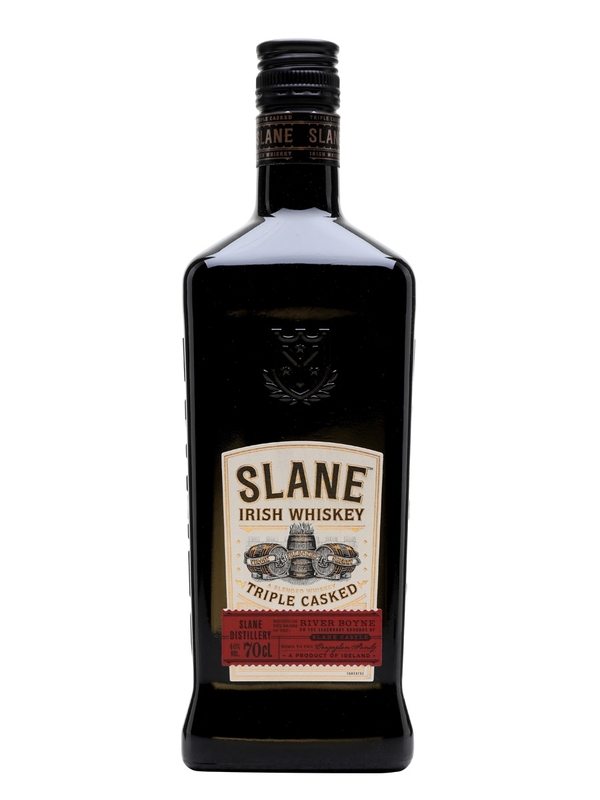 Currently Slane sources grain and malt from other Irish distilleries to produce its blend. While they buy in the whiskey, they further age on it onsite to create the final vatting. sherry casks – oloroso butts from the Paez cooperage in Jerez, made from French and Spanish oak. 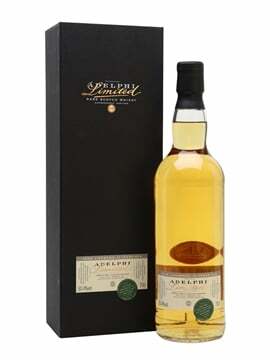 The casks are seasoned for 24 months and the whisky finishes for 24 months as well. Nose: Candied ginger and wine gums. Roasted banana with five spice and sultanas. 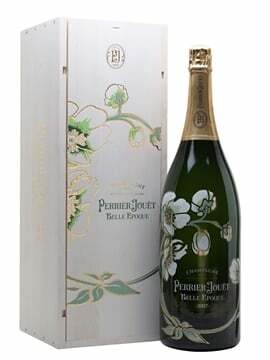 Poached apple and pear notes develop, with shortbread dough and touches of uncooked filo pastry. Palate: A spicy intro – vanilla, ginger and clove. Butter and cream roll in, with apple puree, fruity wine gums and custard hints. Spices lies underneath everything, with soft brown sugar and citrus oil. Finish: Buttery spice and cream. Spiced apple and custard. The wine gums linger. 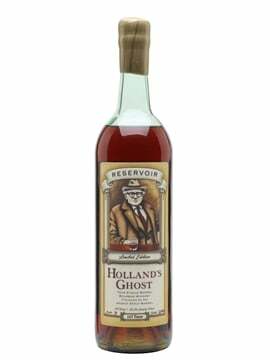 By April, the distillery should be up and running, with spirit being laid down to mature. But beyond that, the future looks interesting for Slane. Alex Conyngham has ideas, and as long as he can convince the rest of the distillery team that they’re good ideas, there should be experiments with barley and yeast varieties as well as converting a part of the estate into an organic farm. For now, Slane is Ireland’s newest distillery – an accolade which will no doubt be taken from it sometime in the next couple of months. With the castle ticking over thanks to the concerts, and Brown-Forman behind the distillery, I see Slane settling in to its place on the Irish whiskey scene. I look forward to them being old hands.